After years of working in the corporate art world of toy design prototypes and bringing robots to life in the animatronics field, Thomas “Tom” Kuebler opted to explore his full creative potential as a multi-media sculptor. 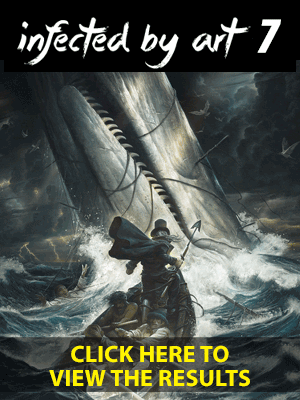 Armed with the tools of his trade, a supportive wife and the odd inhabitants of his own personal fiction, he set forth on a mission to bring the world inside his head to life. Kuebler’s award-winning silicone character sculptures have exhibited at venues such as LACMA, Los Angeles; The Society of Illustrators, NYC; The Art Gallery of Ontario, Toronto; Galeria Clave, Spain; Copro Gallery, Santa Monica; The Allentown Art Museum, Pennsylvania and The Toledo Museum of Art, Ohio. Other venues include the offices of DC Comics, Bleak House and private collections around the world. His sculptures have been featured in publications such as Spectrum, Rue Morgue, The ARC Salon Catalog, Infected by Art, Guillermo del Toro’s Cabinet of Curiosities, Amazing Figure Modeler Magazine, Gothic Art Now and many more. Over the past fifteen years, Tom Kuebler has won several Spectrum awards and Infected By Art awards. He has been a finalist in the Art Renewal Center’s Salon Competition and an ASFA Chesley Award nominee multiple times. In 2014, he had the privilege of being selected to be a Guest Artist Juror for Dragon Con’s art show in Atlanta. 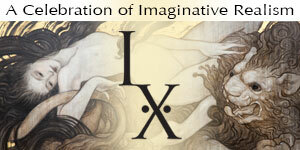 In 2016, Kuebler was honored to be an IX Arts Commissioned Artist for IlluxCon (IX 9). Also a great honor, Kuebler’s sculptures were featured prominently in the exhibition Guillermo del Toro: At Home With Monsters. The traveling exhibition was on display at LACMA in Los Angeles and The Minneapolis Institute of Art in 2016 and then exhibited at the Art Gallery of Ontario through January of 2018. In conjunction with Smooth-On and Reynolds Advanced Materials, Tom has provided several day-long art seminars, as part of their Master Sculptor series™. Kuebler, his wife, and their beloved animals reside in Ohio.